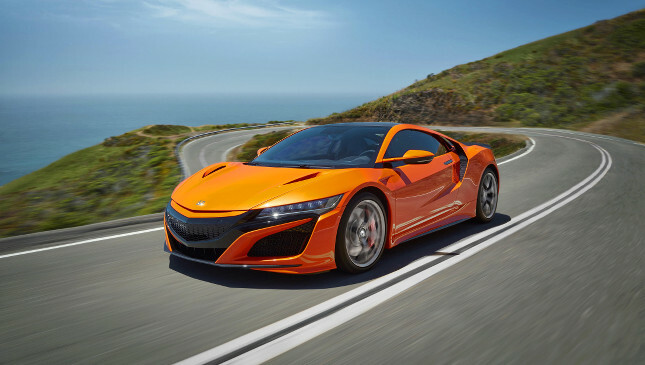 The refreshed Honda NSX just launched at the Monterey Car Week may not have drastic styling changes or even a slight power upgrade, but Honda has made sure it handles better than before, without compromising daily drivability. For this 2019 model, the hybrid supercar gets larger stabilizer bars that increase stiffness by 26% and 19% at the front and rear, respectively. Rear-hub rigidity is up, too, by 6%, as is the stiffness of the control-arm toe-link bushings, by 21%. The software for the active magnetorheological dampers has also been recalibrated, providing for better ride comfort compared with the current model in Quiet mode. 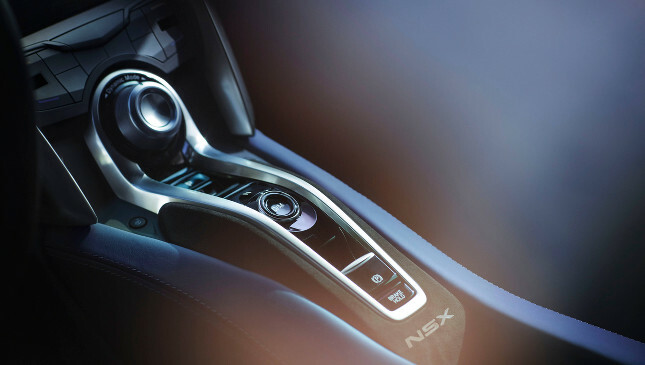 The chassis now rides on Continental SportContact 6 tires developed specifically for the NSX. Software tweaks to the hybrid powertrain, the electric power steering, and the Vehicle Stability Assist system deliver improved handling, balance, and steering response especially in the Sport, Sport+, and Track settings. 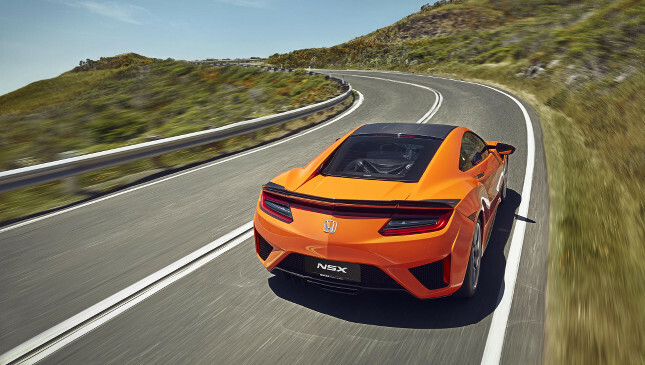 Versus the current model launched in early 2015, the refreshed NSX is faster by two seconds around the Honda-owned Suzuka Circuit in Japan. 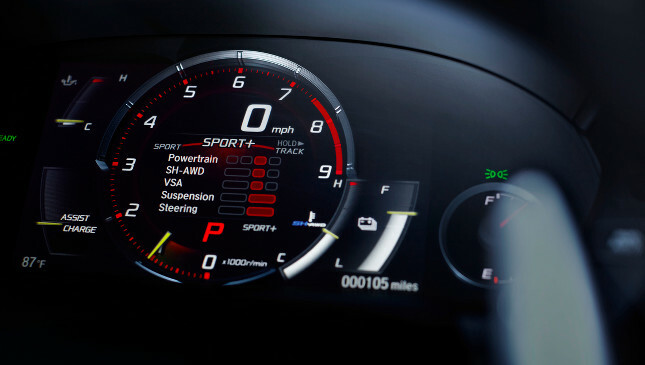 The SH-AWD power unit, comprising a 3.5-liter twin-turbo V6, a nine-speed dual-clutch transmission, and three electric motors, still produces 573hp and 645Nm of torque. Updates to the engine (in the form of upgraded injectors, a new particulate filter, and enhanced turbocharger heat response) mainly serve to minimize the car's emissions. Exterior changes are very subtle, with the front-grille surround now color-matched to a unit's paint job, and the bumpers featuring gloss-black mesh. The new Thermal Orange Pearl option expands the range of exterior colors. The optional carbon-ceramic discs may be spec'd, too, with orange calipers. For the interior, there are two new upholstery choices: all-red leather, and an alcantara-leather combination in Indigo Blue.